Nobody wants to be the one stuck in the small middle seat. 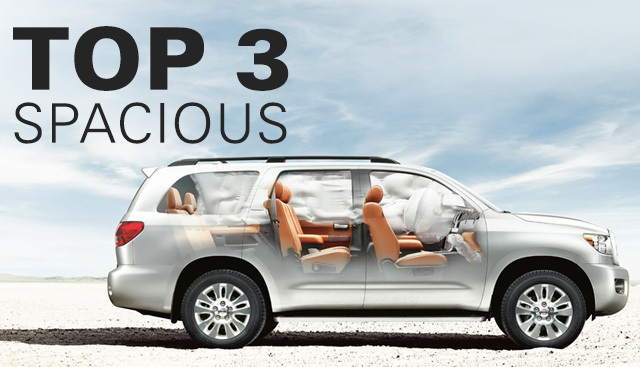 Find out which of these spacious vehicles fits your lifestyle best by using the table that Toyota of Fort Worth has included below. -Leg Room: Up to 40.5 in. -Head Room: Up to 34.9 in. -Leg Room: Up to 42.5 in. -Head Room: Up to 38.9 in. -Leg Room: Up to 42.9 in. If you wish you had an extra seat for the family dog or more space in the trunk to bring more outfit options on road trips, check out the table below for information on our three most spacious vehicles available now. 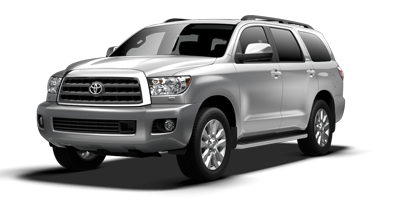 The Toyota Sienna, Sequoia and Land Cruiser may be different, but they have several features in common highlighted below, while being the most spacious vehicles available in the current Toyota lineup. 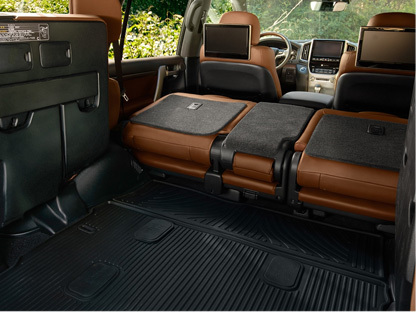 This feature gives the second-row passengers in your Sienna a bit more comfort and space where they can relax. 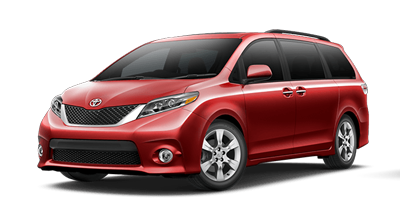 In just one motion, your Sienna provides more cargo space by stowing the third row. 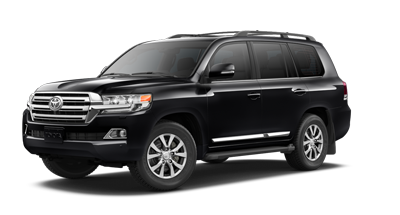 When you don’t need your third row of seats in your Land Cruiser, they can be easily folded and stowed away, so you’ll have more cargo space. Are you searching for a vehicle that provides a spacious environment for you? Then look no further than Toyota of Fort Worth. We're here to help make your decision less complicated by displaying how three of our most sought-after models measure up in interior size and cargo space. When you look at the numbers, these three vehicles have the most room out of our current lineup of vehicles and offer more breathing room for those long road trips. If having enough room to stretch out in your vehicle is valuable to you, check out what spacious and comfortable vehicles made the cut above. If you’d like to take a closer look at any of these vehicles in 9001 Camp Bowie West, Fort Worth, TX 76116. We look forward to serving our customers near Arlington, Burleson, Weatherford and Keller.